Former FBI special agent: Restricted Kavanaugh probe is not a "real, authentic FBI investigation"
On the night of April 26, new reporting at Variety and The Washington Post told the stories of two women who say they were sexually harassed by NBC special correspondent and former NBC Nightly News anchor Tom Brokaw. Brokaw is the seventh employee of NBCUniversal to be publicly named in reports of sexual harassment since last October -- and these new accounts in Variety and the Post detail a workplace environment where rampant mistreatment of women has been tolerated or ignored. The Washington Post’s Sarah Ellison wrote about former NBC war correspondent Linda Vester’s report that Brokaw “made unwanted advances toward her on two occasions in the 1990s” as well as a second unnamed woman’s report of inappropriate behavior by the former NBC anchor during the same decade. Variety published a video of Vester recounting her experience, along with a lengthy statement based on multiple interviews with her. Both outlets included a statement from Brokaw, released through NBC, denying the allegations. He also sent a letter to colleagues disputing Vester’s accounts, calling her stories a “drive by shooting” and suggesting Vester wanted attention. In a letter to staff made public late this afternoon, NBC News Chairman Andy Lack acknowledged the reports about Brokaw's misconduct and said that NBC "take[s] allegations such as these very seriously." Lack also discussed ongoing internal efforts to review and change the workplace culture within the company. While corporate leadership at NBCUniversal hasn't had much to say on the matter, its primary news outlets, NBC News and MSNBC, have frequently covered both reports in the hours since they were published. 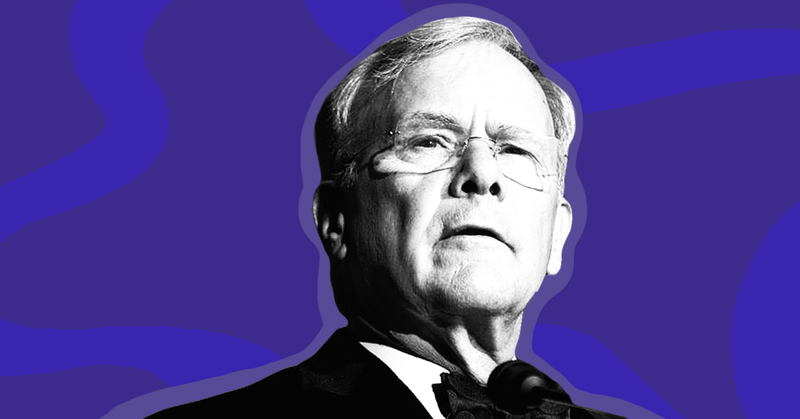 NBC News has published one story on the Brokaw reports headlined “Tom Brokaw denies sexually harassing former NBC News colleague” and tweeted the story twice. NBC’s Today also discussed the reports multiple times this morning, including in a several-minute report from national correspondent Kate Snow. The segment covered new reporting on both Brokaw and former Today co-host Matt Lauer. (Ellison’s article included two previously unreported accounts of sexual harassment by Lauer in addition to a new statement from former colleague Ann Curry about a colleague who came to her to report harassment by Lauer.) The package also touched on NBC’s treatment of harassment more generally, and Snow ended it by noting that all employees, including herself, would be completing in-person training soon. On MSNBC, Morning Joe did not mention the reports, but the network has covered the Brokaw story in some capacity nearly every hour since. In the 9 a.m. hour, MSNBC Live host Stephanie Ruhle briefly reported on the allegations against Brokaw and noted that NBC News had declined to comment. In the 10 a.m. hour, MSNBC Live host Hallie Jackson similarly reported on the story. In the 12 p.m. hour, Andrea Mitchell Reports aired a short package on the Brokaw allegations from Kate Snow. And in the 1 p.m. hour, MSNBC Live host Craig Melvin very briefly reported on the Brokaw story once again. Velshi again reported on the news about both Brokaw and Lauer during the 3 p.m. hour. The new Washington Post reporting included on-the-record comments from former NBC anchors Ann Curry and Soledad O’Brien and information from at least 35 current and former NBC staffers. It detailed a workplace environment that discouraged people from reporting harassment -- in Curry’s case, a workplace that permitted “pervasive verbal sexual harassment." And Vester cited NBC’s decision not to conduct outside investigations for previous reports of harassment as a reason for her decision to come forward. Brokaw is now the seventh NBCUniversal employee to be publicly named for sexual misconduct or gender-based harassment in the #MeToo era. In October, two NBCUniversal employees were publicly reported for workplace sexual harassment: Mark Halperin and Ken Baker. In November, the senior vice president of booking for NBC news, Matt Zimmerman, was fired following reports of inappropriate conduct. Lauer was also first publicly named for incidents of harassment and assault in November. News of a prior harassment complaint against current MSNBC host Chris Matthews surfaced in December. NBC Sports personality Mike Tirico’s history of harassment reports from the 1990s also resurfaced in December. NBC has conspicuously maintained silence on several reports related to harassment and assault by powerful men outside of its offices. In October, freelance NBC News correspondent Ronan Farrow publicly called out his employer for passing on his months-long investigation into multiple reports of harassment and assault by movie executive Harvey Weinstein; the piece eventually ran in The New Yorker, and Farrow was awarded a Pulitzer Prize for public service for his reporting earlier this month. And back in fall 2016, the network sat on Access Hollywood footage depicting now-President Donald Trump bragging about committing sexual assault, which was eventually scooped by another outlet. NBC subsequently waffled on whether to fire its own employee, Billy Bush, for his participation in the damning exchange.